Linda "Sue" Lendrum 72 returned to her heavenly home March 29, 2019 after a valiant battle with a long illness. Her devotion to her family and her firm belief in God supported her in her struggle and ultimately gave her peace. Sue was born to the late Velma and Walter Frank in Fort Collins, CO December 6, 1946. She graduated from the University of Northern Colorado in 1970 with a degree in teaching. She married her best friend, Larry Lendrum in 1968, and they recently celebrated their 51st anniversary. She enjoyed a brief teaching career and found her true passion for interior design. She and her husband successfully operated Larry & Sue's Drapery for 45 years. She was an expert seamstress and always enjoyed a challenging project. She was very active within her church and led many youth group camping trips. 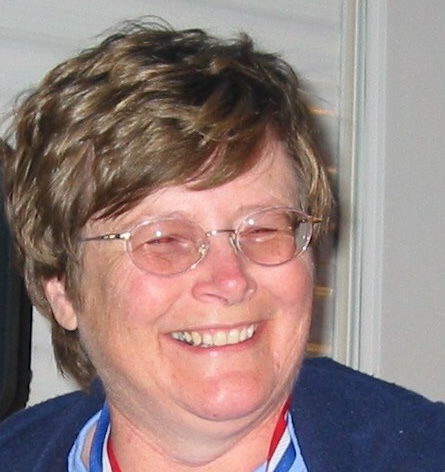 Upon her retirement in 2017, Sue moved with her husband to Hamilton, MT. She was able to enjoy the last years of her life among the beauty of Montana. Sue is survived by her husband Larry Lendrum; her daughters Elizabeth Gibney (Mike Gibney) of Hamilton MT, and Loretta Hendriksen (Mark Hendriksen) of Bothell, WA. and four grandchildren Caleb and Brianna Hardy both of Greeley, Co., Blane and Bryce Hendriksen of Bothell, WA. two sisters Sharon Lunbeck of LasCruces NM. and Pat Village of Loveland, Co. She was proceeded in death by her parents. Funeral services will be held on Friday April 5 at 2:30pm under the direction of Daly-Leach Chapel in Hamilton, MT. Interment immediately to follow at Riverview Cemetery. Please call Daly-Leach Funeral Chapel to confirm service time and location. Their number is 406-363-2010.